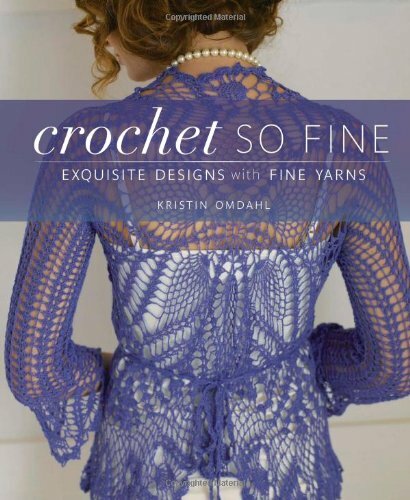 Petals Wrap Cardigan is a beautiful crochet cardigan pattern featured in Crochet So Fine, a crochet book by Kristin Omdahl. It has a unique construction and some crocheters have expressed confusion in the joining of the fronts to the back. In the following video, Kristin demonstrates that blocking the pieces before joining allows the crocheter to see what is going on much clearer. And in the video, she points out which portions of the fronts are actually joined to the back, and which portions are skipped, to create the armhole openings. Be So Fine Yarn in colorway Lilac Memories is featured in the video.